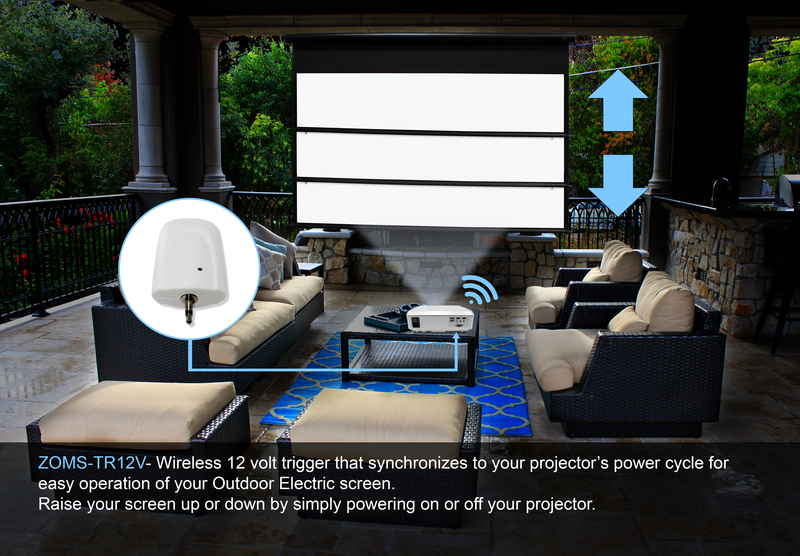 Just in time for Summer – The ZOMS-TR12V wireless 12-volt trigger is a small device that coordinates your Yard Master Electric outdoor projection screen with the projector and no wires are required. When the projector powers on, the wireless 12-volt trigger acts as a radio-frequency wireless remote and brings down the projection screen into the “open” position. When the projector powers down, the trigger commands the screen to retract back into its casing. This works with the Yard Master Electric outdoor projector screen which is IP33 certified for rain/water protection. Sizes are available up to 180”.